Action Grid enables the integration of powerful tables from multiple sources into DNN projects, providing a simple, yet flexible mean of displaying data in a tabular format. The table style of a data grid allows viewing data in a modern looking responsive table completed by headers, sorting, filtering, searching and more actions. Action Grid enables the management of the submitted Action Form entries from different forms. It allows filtering, sorting, searching for records, editing or deleting records. Action Grid allows displaying data in a tabular format out of the box from each of the following data sources: Action Form forms, Database table, SQL Query, Server Request(JSON), Credential Store. It’s also possible to add new custom data sources without needing the Action Grid source code. 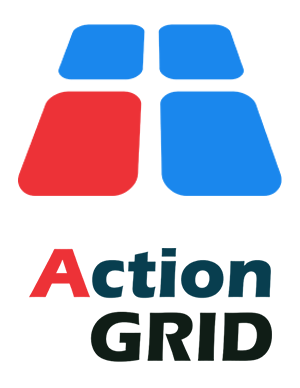 The most trending topics in web are with Action Grid. The data grid fits to any screen size and are swipe able on touch capable devices. And that’s pretty much all about the installation, the next step is to activate the module from production or if you try a demo, you have to unlock the trial for 30 days - these two options are displayed as a warning message at the bottom of the module after it was added on a page. In the steps below, we are going to show you how to add a the Action Grid module on a page. When the page you work on is opened, select the Modules option from the bottom menu, click on the Add Module option. 2.Find avt.ActionGrid, click on it, and with Drag&Drop option add the module to your page. 3.Now that you have installed Action Grid Module on you page, you will need to configure it by clicking on Manage Grid option. Important: Note that you will need to unlock the 30 Day trial or Activate for Production before you are able to see this screen. To manage Action Grid you have to access the management page of the module, either by clicking on the Manage Grid text displayed on the module after it was added on the page, either you have to click on the right edit menu on Manage Grid options. The complex mode (from scratch) will take you to the management page of the module, where you are presented with the following options, which are displayed and available for admins only: the General Settings section, the Data Source section, the Template section, the Item Buttons and the Grid Buttons section.